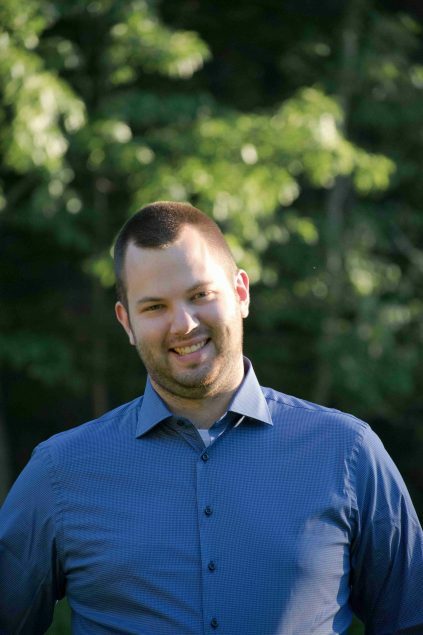 Camden Bock is a research assistant in the College of Education and Human Development and the Maine Center for Research in STEM Education, pursuing a MST and PhD in STEM Education with concentrations in mathematics education. Camden works in the IMRE Lab, under the supervision of Professor Justin Dimmel to develop HandWaver, a room-scale gesture-based virtual environment for geometric manipulation. Prior to joining the IMRE Lab, Camden completed a B.S. in mathematics and certification in secondary mathematics education at Bates College in Lewiston.